It could be a first for Atlanta’s favorite fried chicken sandwich restaurant — Chick-fil-A opened up their hearts and their fryers to help the stranded travelers at Hartsfield-Jackson Atlanta International Airport. 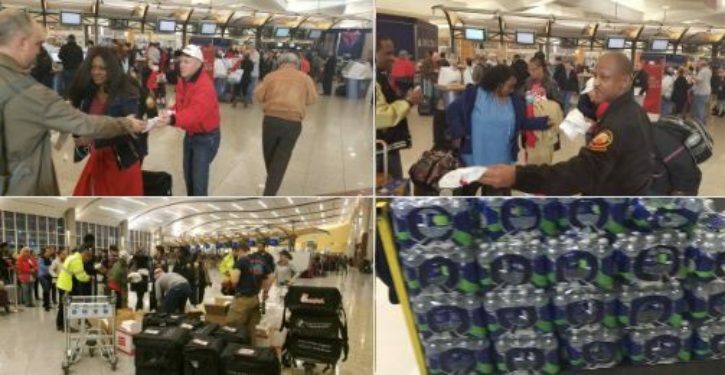 The Atlanta airport tweeted around 1:15 a.m. photos of Chick-fil-A workers handing out sandwiches and water. Travelers stranded at the Georgia International Convention Center were also treated with the meals. In all, 2,000 meals were provided to travelers. Atlanta Mayor Kasim Reed thanked Chick-fil-A owner Dan Cathy for his support. 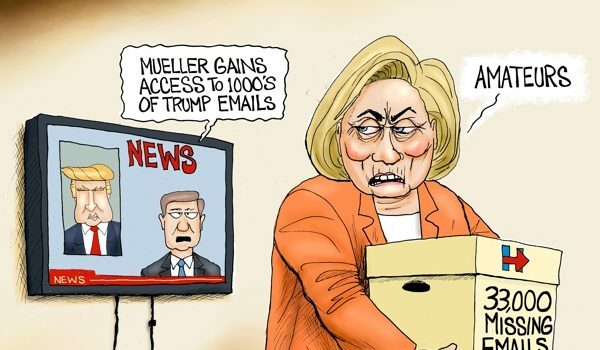 The mayor called about 10pm and asked for assistance. We immediately mobilized staff and team members who live and work near the airport, and they are making sandwiches and delivering them to the EOC (emergency operations center). City and airport officials there are distributingsandwiches to passengers who are stranded due to the power outage. It has been a very difficult day for thousands of travelers.